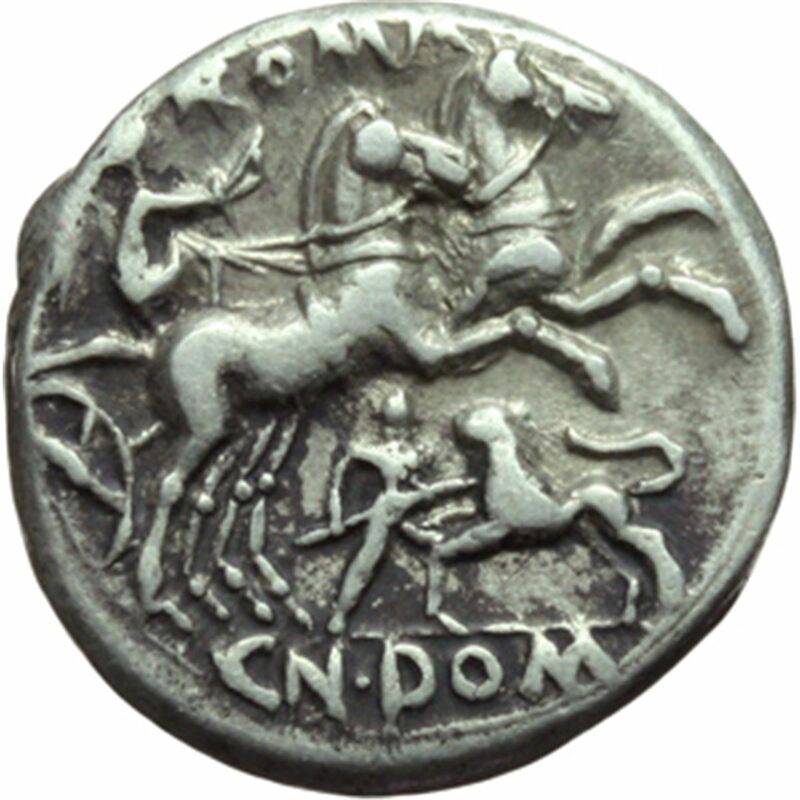 Cnaeus Domitius Calvinus or Ahenobarbus was one of the moneyers for the year 128 BC. Domitia was a plebeian family at Rome. The first of the gens to achieve prominence was Gnaeus Domitius Calvinus, consul in 332 BC. His son, Gnaeus Domitius Calvinus Maximus, was consul in 283, and the first plebeian censor. The family produced several distinguished generals, and towards the end of the Republic, the Domitii were looked upon as one of the most illustrious gentes.